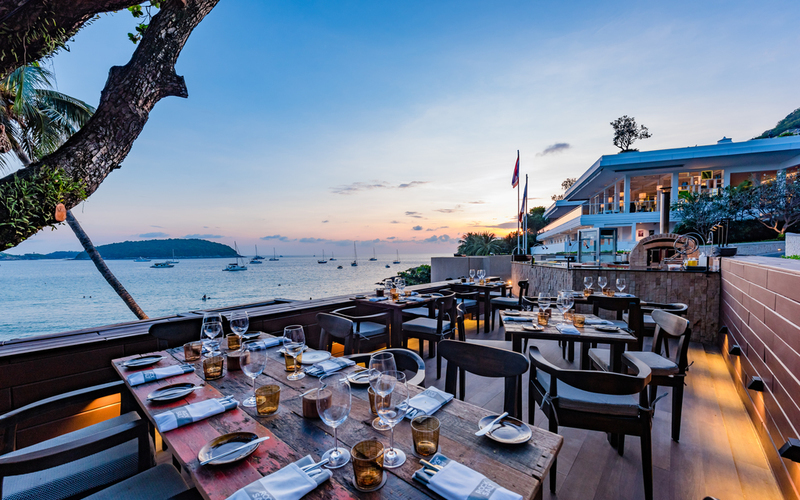 Inspiring contemporary cuisine is created at The Nai Harn using the freshest local and imported ingredients, served in a stunning oceanside setting at one of the hotel’s three world class restaurants. Start every day with a bountiful breakfast featuring homemade yoghurts, cheeses, cold cuts and cold drip coffee. 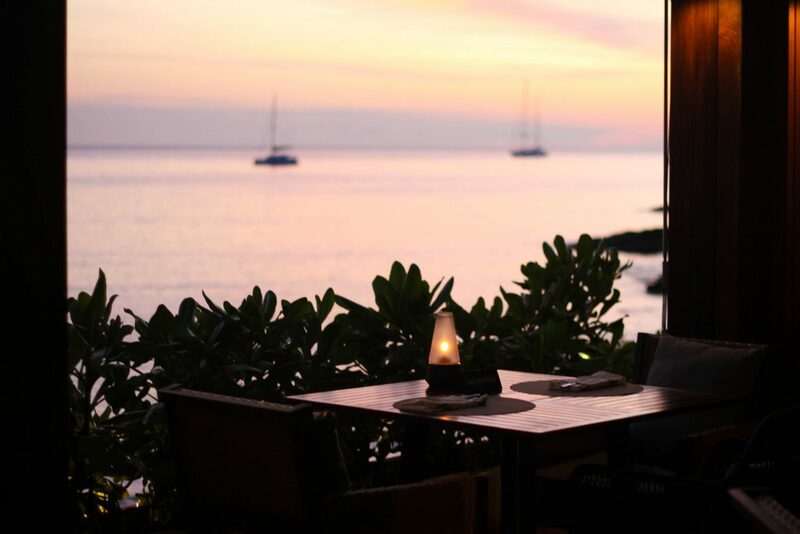 Then choose from an enticing selection of exquisite Thai and international dishes throughout the day and evening, including fresh daily seafood sourced direct from local fishermen. COSMO is the spacious and stylish all-day eatery serving exquisite Thai and Mediterranean cuisine, ROCK SALT specializes in land and sea delights with a Mediterranean touch, served right by the waters of the Andaman Sea, while HANSHA is the island’s only choice for rooftop sushi and sashimi prepared in front of your eyes. 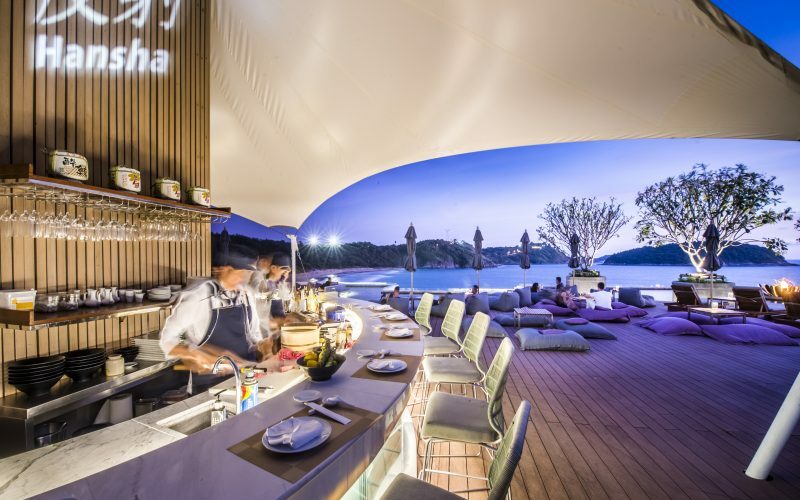 Sophisticated tropical designs, soothing al fresco settings, and a line-up of impeccable culinary talent all works together to create one of Phuket’s must- visit dining destinations. Open throughout the day, Cosmo takes guests on a refined journey through diverse culinary traditions from around the world. The menu reflects the chef's passion for travel and new cultural experiences, while an underpinning of Southern Thai flavours pays homage. Open daily from 6:30 – 10:30 am. for breakfast and 12:00 - 11:00 pm for A la carte menu. 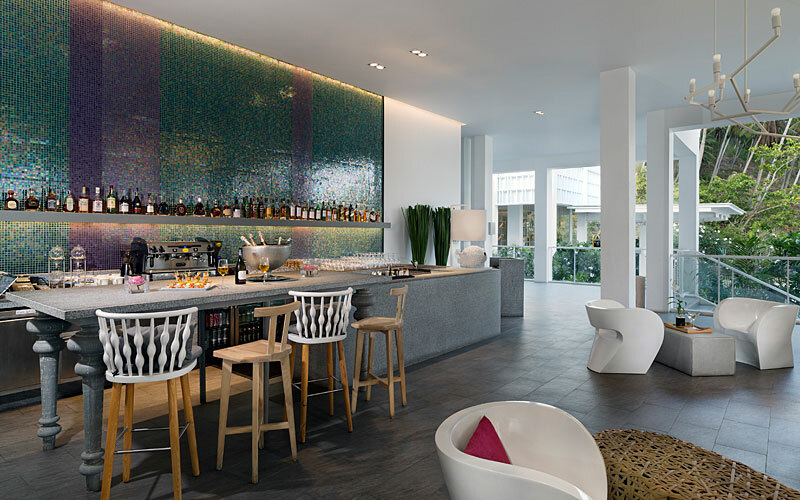 A celebrated institution from the moment it was conceived, Cosmo's bar offers a professionally curated drinks list paired with picturesque views of Nai Harn Beach. The selection includes everything you'd expect from a world-class island resort: tropical cocktails, rare single-malt Scotches. Open daily from 10:00 – 12:00 am. 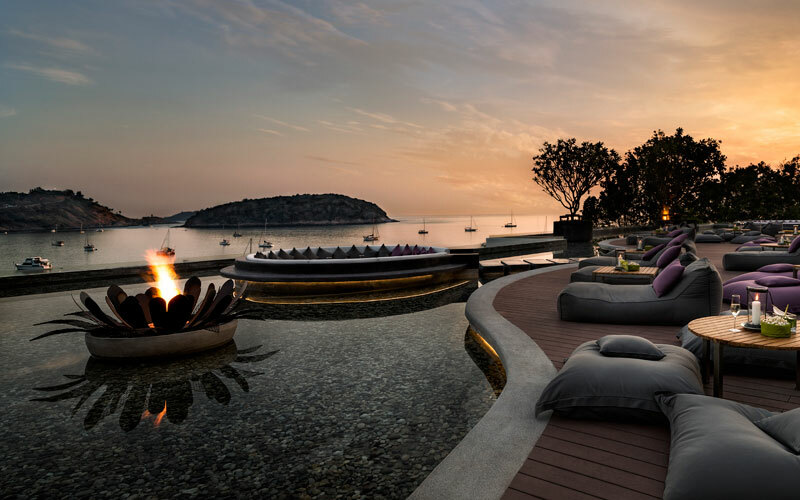 Recline into plush, sunken seating on The Nai Harn's sprawling infinity-edged rooftop bar. Splendid views are an integral part of life at The Nai Harn, but Reflections takes the experience to a new level. Sink into plush seating, admire the view and listen to the whisper of fluttering palm. Open daily from 12:30 – 10:00 pm. 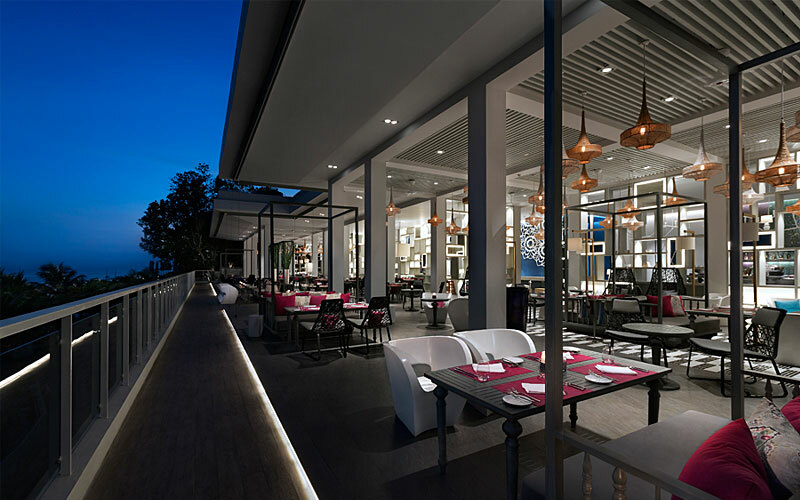 Han-Sha, Phuket’s first rooftop sea view Sushi & Sashimi Bar is now open for guests to enjoy at Reflections Rooftop Lounge, where you can take in the stunning views of the Andaman Ocean while watching our master sushi chef preparing sashimi, nigari and other Japanese favorites at the live sushi station. Stop by and enjoy exquisite culinary creations made using the freshest imported ingredients as you gaze across the tranquil pools to the bay beyond. Open from Friday until Tuesday from 5:30 – 9:30 pm. Closed Wednesdays and Thursdays. 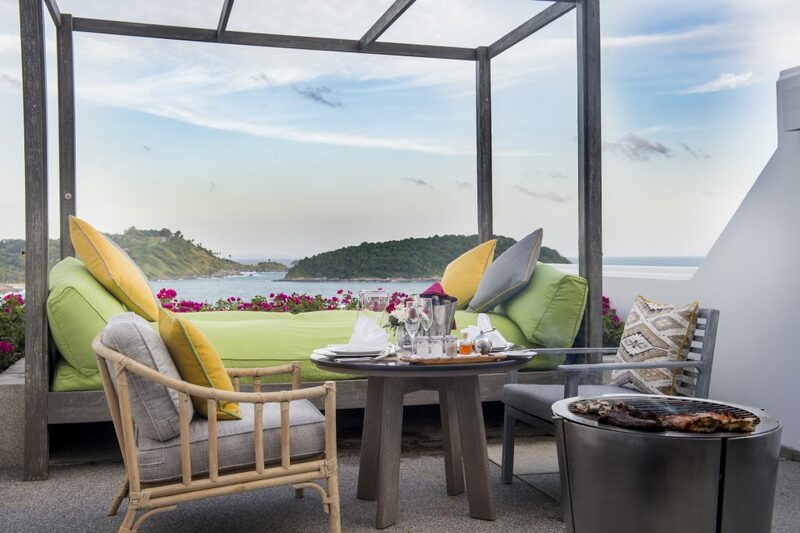 Your private terrace is one of the most enchanting places to relax and admire the view at The Nai Harn. Personal grills are available for breezy barbecues on the terrace. The hotel's culinary team will prepare delicately marinated meats and vegetables for grilling.